Japan, Land of the Rising Sun, has been a phrase known for around 1400 years or so. The expression is a translation of Nihon, the name the Japanese use to refer to their country. The historical origins of the name are from a Japanese envoy who declared that the country was so close to where the sun rose, and since then the name Japan, or Nihon, also known as Nippon the difference is down to translation, has remained. The perfect itinerary of Japan would be an engaging combination of contrasts - futuristic cities alongside ancient culture and pulled together with stunning natural landscapes in between. From the big city excitement of Tokyo to the beauty and mystery of Kyoto; from the hot mountain springs of Hakone to the white sandy beaches of Okinawa every region of Japan has something special to offer. Discover and explore the country beyond the well-known popular attractions such as Mount Fuji, Himeji Castle, Fushini Inari Taisha, Itsukushima Shrine and of course Shinkansen, the bullet train, and immerse yourself more fully into the richness of Japanese nature and culture that exist off the beaten tourist path. Japan literally has something for everyone, and whatever your wishes maybe Japan has the willingness to share with you both their iconic sites as well as a more personal experience by making lesser-known places and activities more accessible, especially for families and the adventurous. There are numerous experiences to fulfil your passions be it culture, cuisine, or cities, tradition, nature, relaxation or art. Contact us to guide and plan your personal Japanese experience. 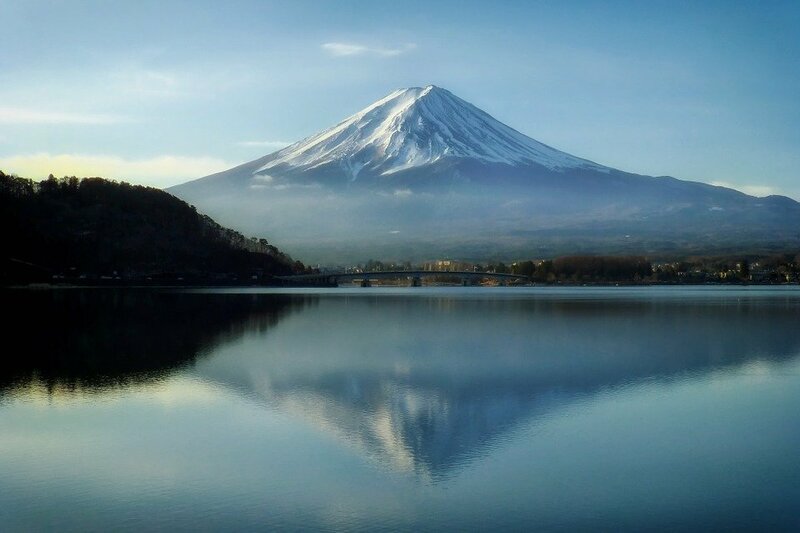 Japan offers, at any time of year spectacular cities and adventure sports, ancient traditions and intricate culture, fine dining and vibrant nightlife, secret corners and spiritual rejuvenation at remote hot springs, spas, and Buddhist retreats. Enjoy Japan with us. DAY 1: Your adventures in Japan will get underway when you are meet at the airport for your transfer to your accommodation in Tokyo. Sit back and relax and enjoy the views of Tokyo's skyscrapers as you approach the city. DAY 2: Today you will have the services of a local professional guide for a private tour of Tokyo. Together you will travel around the city by public transport as the Tokyoites do, using your IC transport card (that will be included in your travel documents). Lunch and entrance fees will be included in the full day. DAY 3: Japanese food will be a highlight of any trip but nothing quite compares to learning how to cook it yourself. 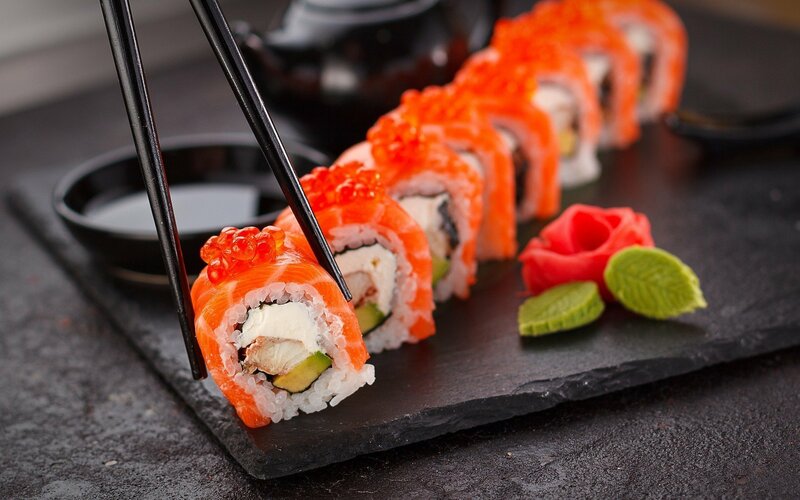 Today you will join a local foodie Yoshimi for an in-depth lesson in everyday Japanese cooking. Yoshimi prides herself on using simple, fresh ingredients to prepare hearty food that you can recreate at home with ease. DAY 4: After breakfast you will travel to Kyoto on your individual Japan Rail Pass (included in your travel documents) by Shinkansen (bullet train). This line was the first of Japan's famous 'Bullet' train lines to be opened. The journey will take between 2h17 and 2hr45 and be sure to keep a look out of the right hand windows to get a lovely view of Mount Fuji. She is notoriously covered in cloud so don't be disappointed if she is not visible! DAY 5: Today you will be accompanied by a local professional guide for a truly magical insight to this fabulous ancient city. It is the only way to explore the city that is so rich in UNESCO World Heritage sites that it can be hard to know where to start! Your personal guide will reveal Kyoto's intricate culture, introducing you to must-see spots as well as secret corners of the city that only the locals know. During the afternoon you will have the opportunity to take tea with a geisha in a traditional teahouse. DAY 6: After breakfast you will set off to visit Himeji, home to the famous 'White Heron' Castle, one of only 12 surviving original castles from the feudal era in all of Japan. Himeji-jo is certainly the most impressive with its extensive ramparts and dramatic keep rising up above the city. 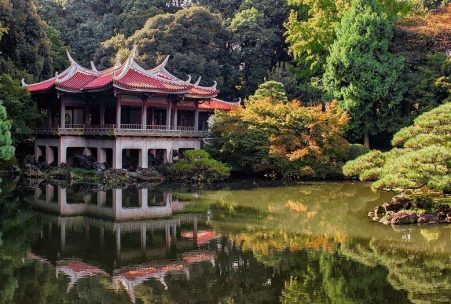 Just outside the castle grounds you can find Koko-en gardens and haven of tranquility with a range of different garden styles. A central tea-house offers an opportunity to sit down and relax. DAY 7: This morning you will head on down the eastern board to Hiroshima by Shinkansen using your Japan Rail Pass. The journey will take around 2hours during which time the train passes through several major cities including Kobe, famous for its top-grade beef. 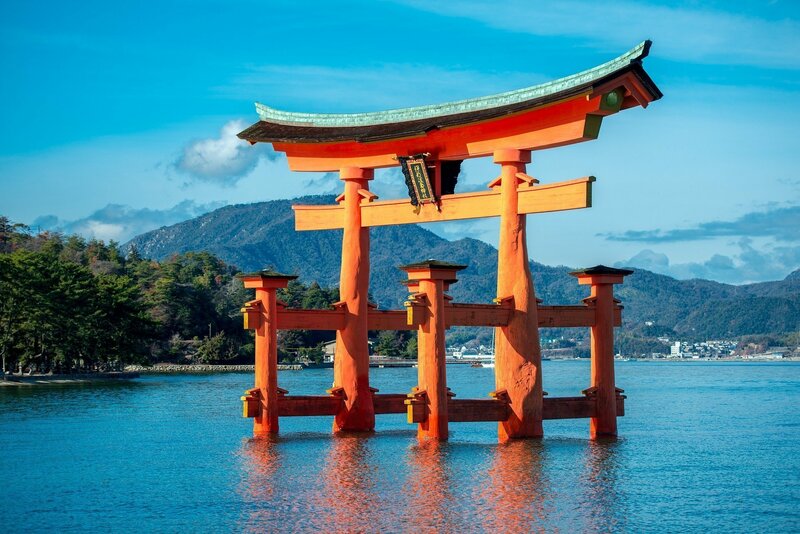 You will have several hours to explore Hiroshima before continuing your journey onto Miyajima Island, literally “shrine island” and best known for the striking sight of Itsukushima Shrine. DAY 8: Today you will have a free day to explore the island, famous for its floating gate at Itsukushima Shrine. Another main highlight is the view from the top of Mount Misen which you can either hike up or take the cable car. You may also like to hire some bicycles to get around, the island has an excellent network of cycle paths and the coastal routes are fairly flat. DAY 9: From Miyajima you will use your Japan Rail Pass to take the ferry back to the mainland and then a local train to Hiroshima and the Shinkansen on to Shin-Osaka Station. Finally a limited express train will take you to Kanazawa on the Japan Sea Coast. Total journey time is around 5 hours and 15 minutes. DAY 10: The best way to explore Kanazawa is under the tutelage of a professional local guide. 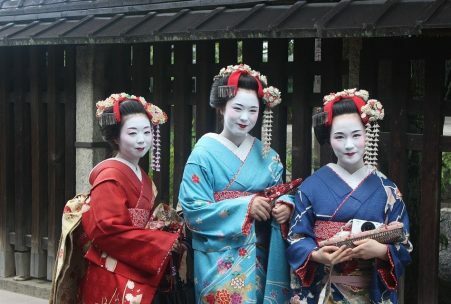 The guide will be able to explain the horticulture techniques that make Kenrokuen one of Japan's most beautiful landscape gardens, walk you through the history of the well-preserved Nagamachi samurai district and show you the best of Kanazawa's rich artistic heritage. DAY 11: Today you will be travelling to Takayama in the Japanese Alps. Large pieces of luggage will be an inconvenience on public transport to and from Takayama, so we suggest recommend that you forward the bulk of your luggage from Kanazawa to your Matsumoto accommodation, thereby leaving you to travel light with small bags only. 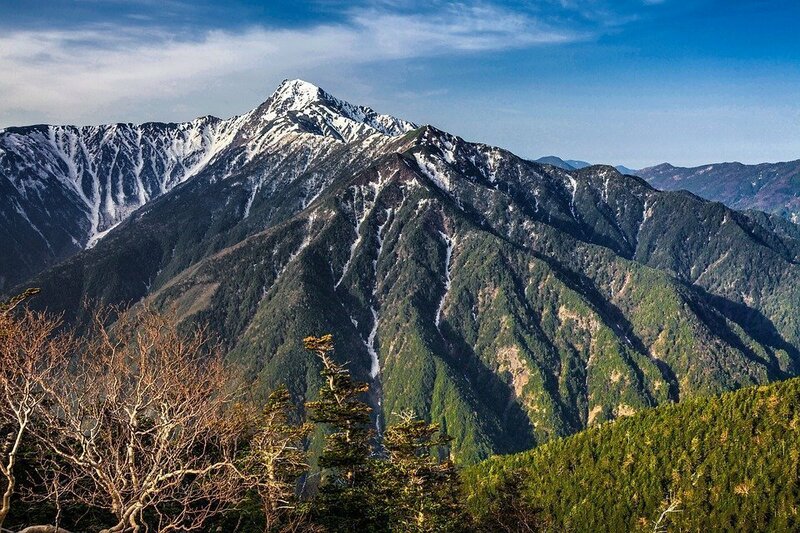 A 3 hour bus journey will take you through some spectacular mountain scenery to Takayama. The bus makes a short stop at the UNESCO World Heritage village of Shirakawago, famous for its traditional thatched farmhouses. It is worth leaving early as there are many ways to spend some time in Takayama. Hire bikes and explore Takayama's many temples and shrines, relax in a coffee shop on one of the old streets; take a local dinner Japan's best beef, soba noodles, miso based dishes and roasted rice balls. Sake is the locals' drink of choice in this old traditional town. DAY 12: Today your journey goes from Takayama to Matsumoto is by express bus. The bus will take you over the mountains and the scenery on the way is truly stunning, with the mountainsides covered in either thick or lush green vegetation passing through a remarkable number of tunnels and over a series of impressive dams on the way. This is a real treat of a journey. Journey time is about 2 hours 20 minutes but can vary depending on traffic and road conditions. DAY 13: Today you will use the Japan Rail Pass to take an express train from Matsumoto to Nakatsugawa, the gateway station for the remote small alpine towns of Magome and nearby Tsumago in the Kiso Valley. This is a beautiful journey through the mountains so do keep your eyes open! On arrival at Nakatsugawa Station you will take a bus to Magome before walking on to Tsumago. There are regular buses from the station which are all signed in English and take around 30 minutes. After looking around the mountain town of Magome you can walk the Old Post Road walk to Tsumago - a gentle hike of 8km which will take around 2 hours and on the way passes some stunning scenery of this remote area of Japan. Alternatively you can take buses the whole way to Tsumago. DAY 14: Today you will make your way back to Tokyo for your final night. The journey is via Nagiso which you can take a hiking trail through to, this will be about an hour and is well sign-posted, or travel to the station by bus or taxi. From here you will transfer onto your final Shinkansen train into Tokyo. The journey will take around 4 hours, be sure to look out for Mount Fuji on the way. 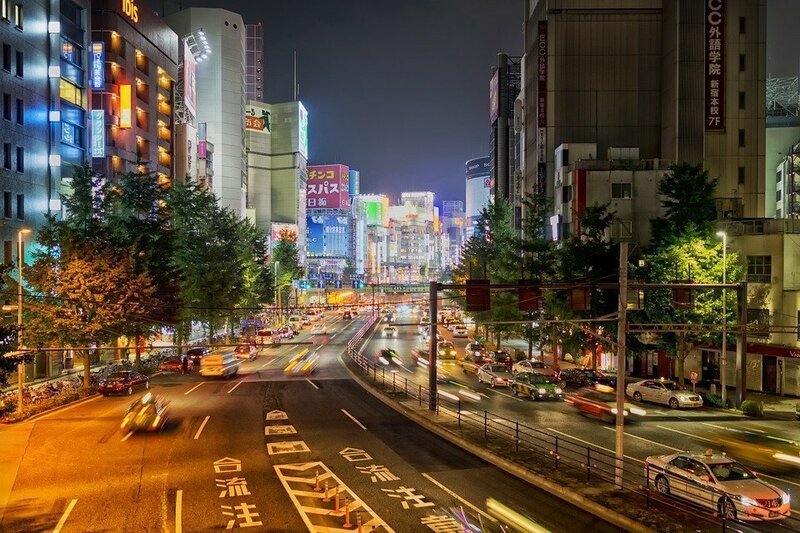 Once you have arrived in Tokyo take the opportunity to do some last minute shopping among the bright neon lights. DAY 15: Sadly your stay in Japan is at an end. We will be arranging a taxi to pick up you up from your hotel, and take you in comfort to Tokyo Airport. At the airport you will be dropped right at the door of the departures lobby, making for a smooth end to your time in Japan.